What happened to your previous account if you joined the forum on 6th Dec, 2017? Smells like a troll. Anyway, constructive criticism is good, but yours is just plain and simple whining that yields nothing. What was done was done- there are dev diaries now and maybe focus on those. Perhaps some customization might be possible. There could be an entry (column excel-wise) in the equipment file with default value 0 for standard size. A negative value could get the respective icon to shrink and vice versa with a positive value. Or a cheat could have the same effect for the current scenario. Just a thought. yeah I hope there is some adjustable size for the units added or made available-- the rail gun is much smaller than a PZ I in the examples so far. 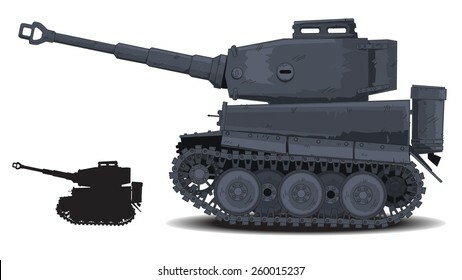 I realize the exact ratios can never work since soldiers and tank guns would be invisible while battleships would take up three full screens..but some adjustments could still be implemented. The game looks great to me, can't wait to play.. Sounds like GoldenEye N64 Big Head mode... I like it. I wonder how it would make tank looks. Very cartoony... maybe too much so lol. Game looks more modern PG2 than PG3D, which is definitely a positive direction. What a difference. So much so that I think the game view should default to the top link, when a new player fires up the game for the first time, this is the default perspective/view mode. And then of course with camera tools mouse wheel or whatever, they can change their perspective as they see fit, for a better gameplay experience zooming out to see more of the battle and less of the units like the second screenshot does. Creating such an alternative graphics pack is a lot of work for sure, but yeah, it might look very cool indeed. This is similar to how it works actually. Positive values are real life sizes, and the game resizes all models baed on this data for optimal results. But we can use a negative value to create an exception from this routine and size the unit the way we want. New models are added to the game all the time, and we don't always set their size correctly right away, plus some models come in wrong size and need to be adjusted, plus there are some bugs in our data. This creates a lot of problems, so please bear with us, they will all be corrected in the end! This is definitely on our list, but this also depends on weather we get server support, so we'll see. Are there any plans to let them impact the surface they are on? We are experimenting with it. Yes, many files will be in open format. At some point in the future we'll certainly publish it. 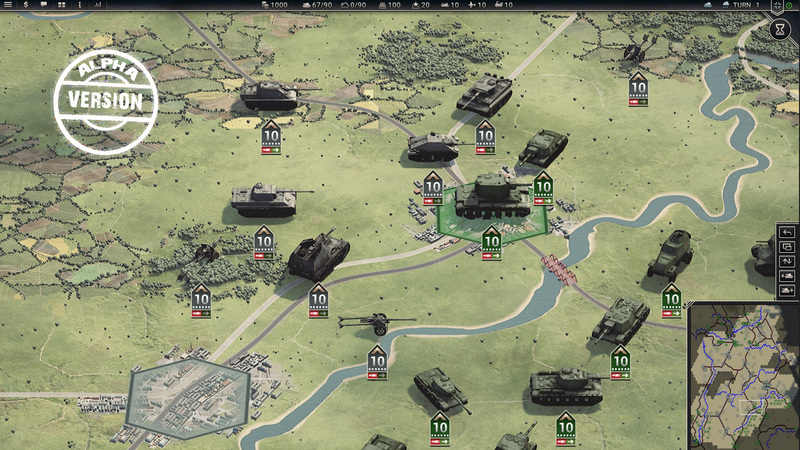 Personally, I cannot even imagine a Panzer Corps game without a scenario editor. There's no doubt Rudankort improved the camera angle 100% after the criticism of the first dev diary. This is a good reason to involve gamers- while Rudankort has said they've played with the camera and lighting a lot internally over two years, one day's worth of outside criticism still led to a massive improvement. You get used to the way things are when you work on a game every day. After a while it looks ok when really it isn't. You get to love the models so much you think identifying them from above via their shadows is easy when it is not. The fact that units are completely unidentifiable when zoomed way out is still a problem. More skilled gamers would love to be able to see as much of the battlefield as possible. Also, I get the obsession with turning off the hex grid to make the game seem cool in promo shots. I really do. But we're all gamers here. Please turn the hex grid on, turn it all the way up, and leave it that way so that we can see the game in an actual playable state. Thank you. Thanks for pointing this out Alberto...love the thought of being able to play online real time...very exciting the thought of being able to go back and forth watching moves in real time...not sure how that will work but am intrigued to see. I am not the biggest fan of the graphics but still holding out hope that the final product will be tight. I saw the first video at tube - its really nice ! I think the 3d units looks more like toon style - dont like this - would be nice to see real camo units - not this Civilizations VI style - I hate this. The terrain needs much more details to play in the same league like the hand painted PGII maps in those days. I hope the streets, railways, rivers and bridges are only Alpha placeholders to work them out later !? 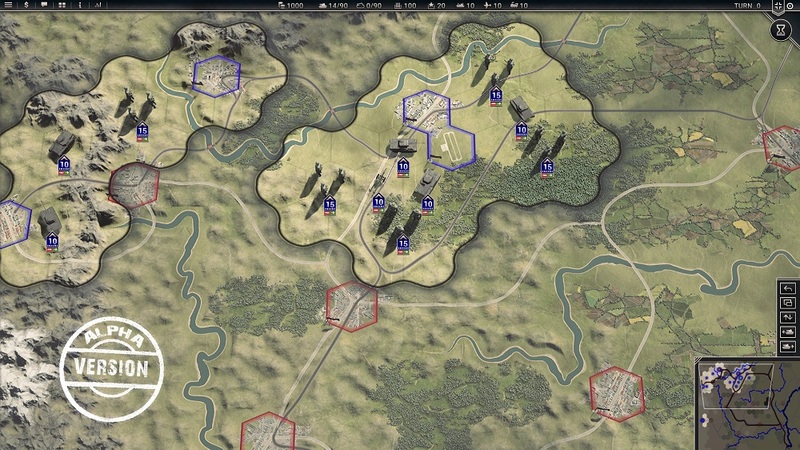 The same with the urban structures - they looks like without textures - I dont see industrieal complexes, parks aor Churches, and please give us different real eastern front looking villages. Also it would be really nice to play with historical named units like in the old PG3D (PGII) Loved this 20 years back ! So far - Thank you - I like to buy it - if you rework some things ! Hope will have imperial army of Japan. Last edited by Dux Limitis on Fri Aug 17, 2018 7:21 am, edited 1 time in total. If you tell us what exactly is not right, we'll have a better chance to address it before the release. Why do you think that the units look "toon style"? To my eye they look quite serious/realistic, and not similar to Civ 6. We'll surely work on improving these things, although hand-painted maps will probably still have a certain advantage in terms of how "artistic" the map looks. But there are disadvantages with hand-painted maps as well. On one hand, they are not as clear and it can be hard to tell terrain type of a hex. On the other hand, they make creating custom maps in the editor much harder, and generating random maps nearly impossible. Panzer Corps 2 solves all these problems. I hope so too, but this can only happen after the initial release, when we get to creating new content about Pacific theatre. I hope that helps, I hate being critical and only doing in an effort to help...I am not much of a Graphics guy so that is my initial take. Don't worry about that, just post all thoughts which you have. Just to make sure I understand this correctly, do you mean self-shadowing which makes the sides of the units too dark, or unit's shadows cast on the ground, or both? I assume that by background you mean the map itself. Could you please elaborate a bit more on this? What makes you think that it looks horribly cheap? Interesting observation, we'll give it a thought. Yeah the back ground looks muted minimized and overall cloudy...in fact so much so that all I see are the units and do not really look at the background. I think the shadows which units cause on the ground are actually ok, but the shading of the part that is pointing directly to the player is too dark. For example in the pic above the Panther's and Jagdpanther's tracks, wheels, are almost black, with no detail visible. The shadow on the ground seems relatively moderate/ok to me, but yeah, it's highly subjective (also depends on stuff like monitors/settings). I would not remove shadows completely (personally I find it unrelastic), but maybe optional? Rudankort has explained elsewhere that you will not be able to turn the shadows off as some terrain, such as hills, would completely disappear in even light as they consist of nothing but shadow generators. Seems kind of goofy to make a game 100% dependent on identifying things by shadows, but there you have it. Yay 3D. Will there be ranked games in MP? Ranked games? What does that mean? A ranked game does mean you earn and loose points with every game played. So this will give you a ladder accordings to the strengh of players. Usually you are able to choose a ranked or a practice game. Most multiplayer games do use this together with an automatic matchmaking, which is just usefull with a large player base otherwise the matchmaking is just fast OR accurate. But even without an automatic matchmaking there are benefits, if a rank is showed within a multiplayer game setup. Best games are with players of same experience, but you do never know about before. Especially for multiplayer learners it would be great to play against other learners, before playing against more experienced players. A good example of ranking is the ELO used in chess. I think it is quite easy to implement, may be it need to be adapted a little bit.